From time to time, dispatches cross my desk from individuals and groups trying to gather money and support to save a railroad structure or locomotive. 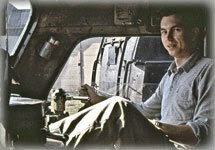 As a young man doing "volunteer weekends" with the Puget Sound Railway Historical Association, I am well aware of the value of willing hands to achieve commendable goals. Unknown to me, however, was the awesome task of rounding up the monies needed to accomplish these ventures. In addition to money, political support is often needed to achieve a "save." For example, a group in Blaine Washington has been struggling for several years to save a former Great Northern station from the bulldozer. Burlington Northern Santa Fe wants to expand their presence in Blaine, and the station is in the way. Despite aggregating a lively group of volunteers, there has been little support by Blaine's city government, and they will probably loose the salvage. 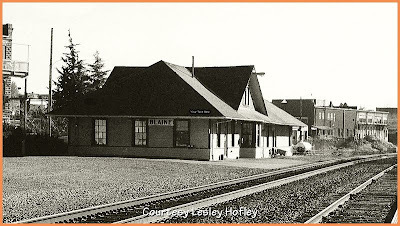 Conversely, a sister Great Northern station less than a handful of miles north of Blaine was salvaged and rehabilitated. The station enjoys life as visitor center and museum for White Rock, British Columbia! In addition to the plethora of stations and locomotives awaiting restitution, there are not one, but three elevated railroad structures that are being salvaged, or in various stages of acquisition and completion. 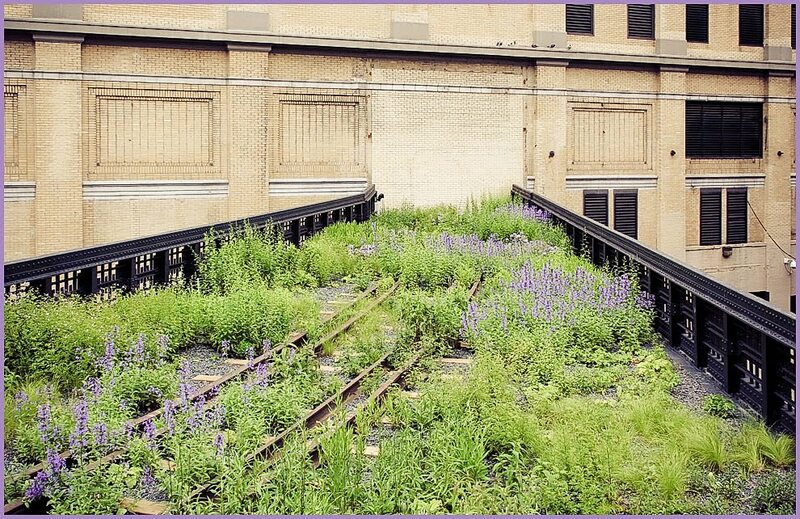 One of the more unusual structures that have been salvaged; the High Line Park in New York City. The High Line Park is a new public open space on a disused, elevated rail structure on the west side of Manhattan. 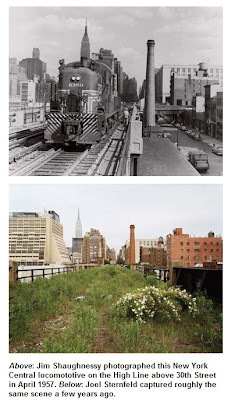 The Chelsea High Line in New York City, is an artifact of the railroad era. Built between 1929 and 1934, the elevated steel viaduct threads its way down one and a half miles of lower Manhattan’s far West Side. 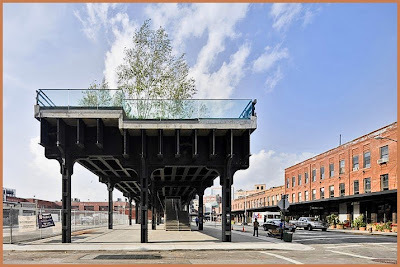 The High Line runs from Gansevoort Street to 34th Street. 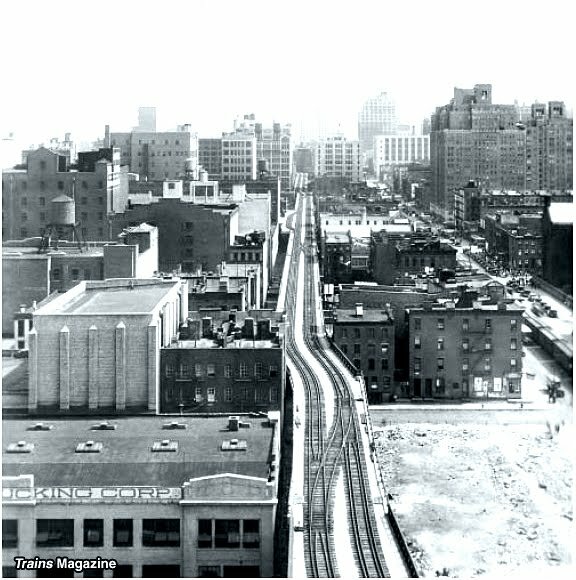 This spur line once joined freight service from New Jersey to warehouses along the east side of the Hudson River, passing over city streets and through buildings. Following the natural life of structures, it should have been torn down in the 1980s, when trains stopped using it. But thanks to the effort of a determined group of individuals, The High Line has been transformed into an urban park. It has become New York's version of the Promenade Plantée in Paris, the elevated walkway that runs from the Bastille Opera House to the Bois de Vincennes, which was also an elevated railroad. Friends of the High Line, City's non-profit partner in the design, construction, and ongoing maintenance of the park, in collaboration with the Department of Parks & Recreation, manage the High Line. The first section of the park opened in June of 2009 and the second section opened this past June. And reopened this past week, following repairs to sections of the park damaged by Hurricane Irene! The second elevated railroad structure in the process of saving, is in St. Louis, Missouri. 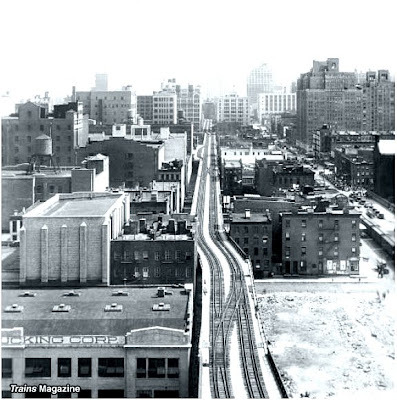 The goal is to reclaim a section of elevated rail tracks, known as "The Trestle." 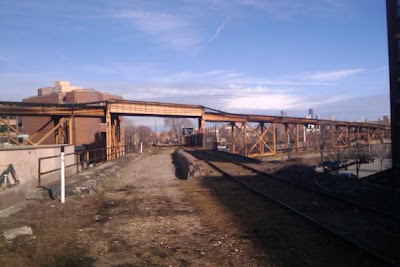 The Illinois Terminal Railroad operated the elevated rail line, that ran between downtown and the Metro East until 1958. The third "elevated railroad park" is brewing in Chicago. Plans for the 2.65 mile "Bloomingdale Trail" in Chicago call for creating three ground-level parks and expanding two current ones to provide access to the elevated trail. Organizers are in the final steps of acquiring property from Canadian Pacific Railway. 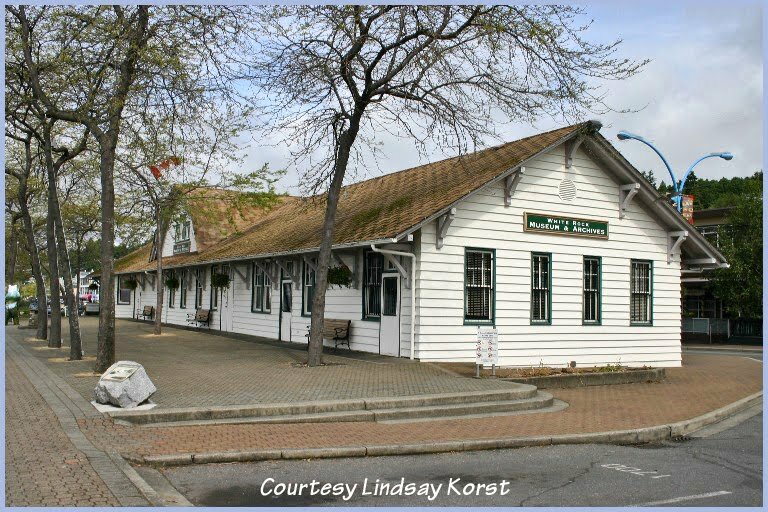 Each of these salvage projects share the same problems rail fans and those who wish to save railroad infrastructure face; knowing how to pick and choose battles to save properties from demolition. And at the end of the day, gaining the financial and political support required to achieve their goals. 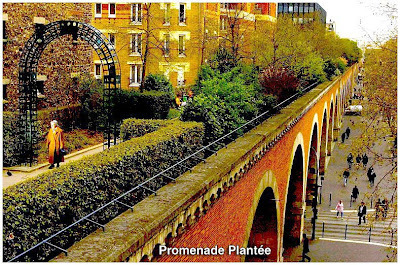 The perfect solution for the Alaska Way Viaduct would be to replace the old structure with a new one exactly like it is now with the lower deck 4 lanes of traffic in each direction and the upper level with walkways, designated bike lane and large beautiful plantings so everyone can enjoy the wonderful waterfront view so vital to Seattle.